How to keep eating all the foods you love without eating animals. I can’t tell you how many times I’ve been asked if I miss eating meat. The question comes in many forms and I find that most people have already answered it for themselves. It is a mark on the face of vegetarian diet that it is something hard and out of the ordinary, that changing your diet would mean changing what kinds of things you eat and how you eat altogether. I’m here to tell you that this isn’t totally true, if anything, its far from the truth. 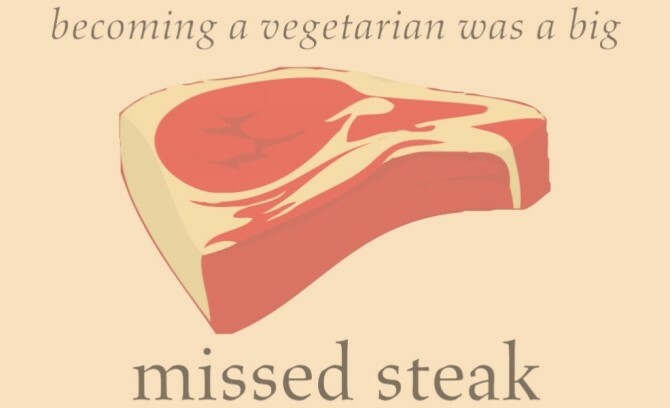 The notorious question vegetarians know all too well is do you miss meat? The answer is no, I eat it all the time. This may seem like a strange thing for a vegetarian to say, but the truth is meat can be so much more than just cow muscle and fat. 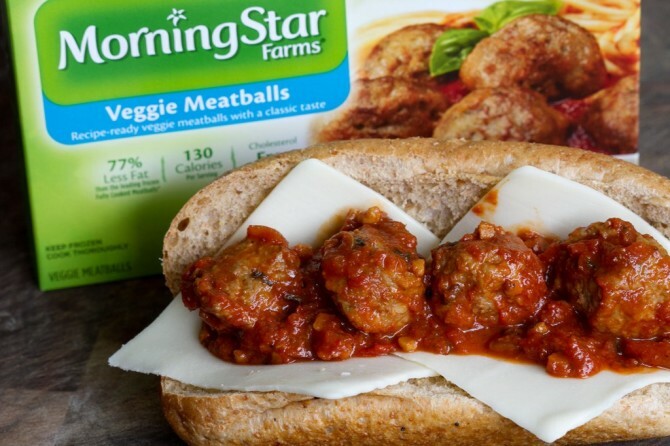 As a matter of fact, one of the first things new vegetarians will encounter as they explore the world of meatless dining is Morningstar, king of the meat substitutes. Many people who fear being vegetarian are most afraid that they’ll need to end their relationships with their favorite foods like burgers, chicken nuggets, and more. This is simply not true. Thanks to meat substitutes, like, seitan, tofu, tempeh, soy and much more. All my favorite foods that used to contain meat can be recreated without the animal parts. Additionally, thanks to companies like Morningstar Farms, Gardein, Boca, Beyond Meat, Dr. Praeger’s and way more, any of the foods I would normally miss are available in any supermarket for cheap and plenty variety to choose from. Whether your thing is cooking or just plain eating, any favorite dish is easy to get when you’re a vegetarian. Hungry for burgers? 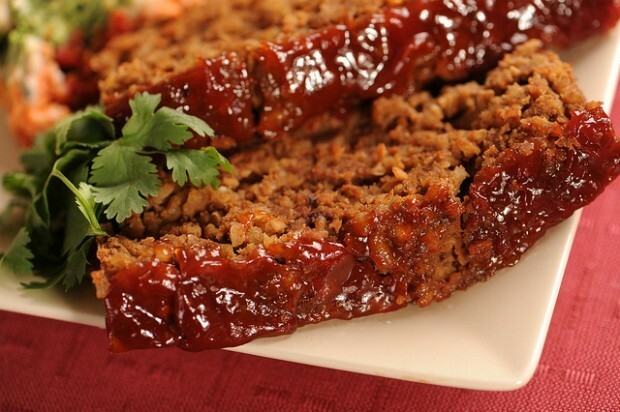 No problem, you have plenty meatless meat brands to choose different kinds of patties from or you can make your own using meatless meat brand ground beef. From simple dishes like meatballs or chicken nuggets to more complex foods like meatloaf, beef enchiladas, pulled pork or lemon chicken, I’ve been eating it all for years. One of the biggest worries when it comes to meat supplements is, does it taste like real meat? The answer unfortunately varies from brand to brand, product to product and person to person. I’d say that taste is easy to copy, but texture tends to be the tougher thing to replicate. Still, I find that with so many products and brands out there, you are bound to find alternatives that feel pretty close to what you remember. I can honestly say that I feel like I never stopped eating meat. 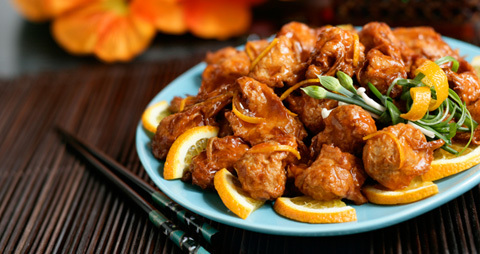 As a matter of fact, I’ve realized that the real flavor of food is in sauces and spices, not in what it’s made of. One cool thing you learn quickly as you embark on your “meatless” journey is that, today, pretty much every restaurant has some options that don’t contain meat, and most restaurants actually let you supplement meat in their dishes for other foods. 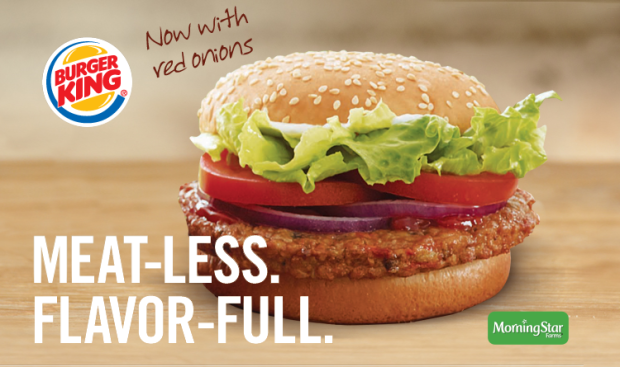 Then you have really cool places that keep up with changing times and offer meat supplements like Burger King, who actually carries their own veggie burger that, in all honesty, tastes just like their whopper. 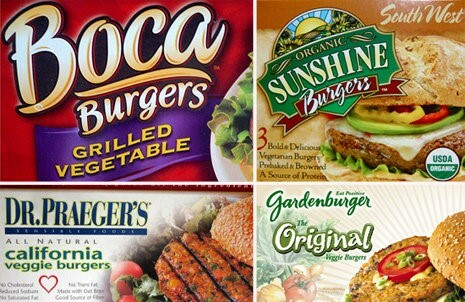 In fact, Burger King keeps everything the same in their veggie burger but replaces the meat patty for one of Morningstar’s Garden Veggie Patties. In the end, my answer to the infamous, “Do you miss it?” question has to be a solid no. I love meat and I eat it daily, it just doesn’t come from a cow or chicken or pig. Being vegetarian does not mean changing what or how you eat, it only means changing where that food comes from. If it’s fear of loss that’s keeping you on the fence then I can say fairly positively that you have nothing to be scared of, we’re all meat eaters here.